This BEVERAGE WRENCH is 4 11/16" long. The wrenches are made from steel and then wrapped with the silicone case. We offer 3 colors: ROYAL BLUE, RED, and BLACK. Order them by color or as an assortment. 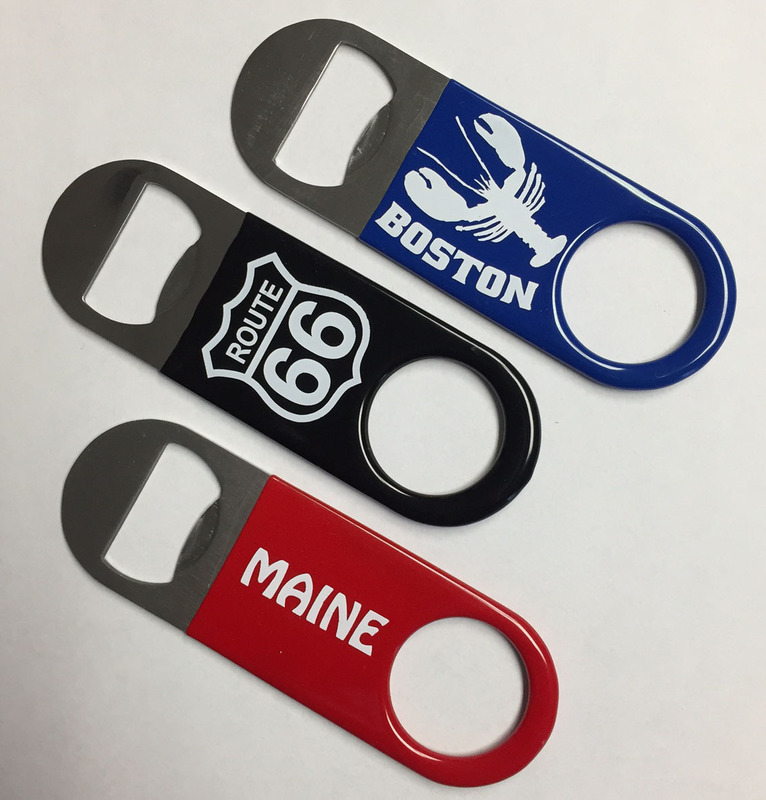 Available from a 1-color logo through a full-color logo. Please add $.05 each piece for any logo over a 1-color image. First shipment due late August.